Just as described, excellent finish. 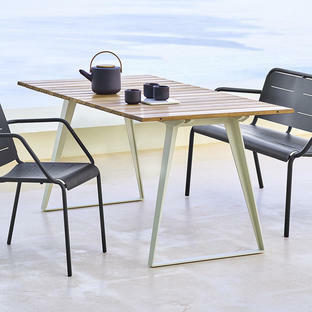 Bistro 77cm round tables are ideal for those who want great looking, folding outdoor furniture for balconies, terraces or small dining areas. Bistro metal tables were created at the end of the 19th century for French cafe owners who wanted simple but sturdy furniture which could be quickly put out and packed up at the end of the day. 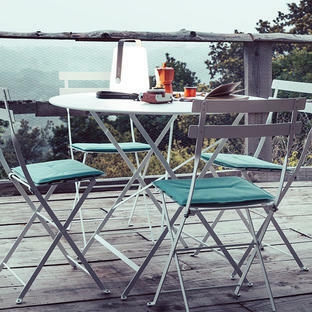 Now updated by Fermob and made in France, the range is available in 24 different colours. Made in France using premiere grade steel, with an anti-rust treatment and 100% UV resistant polyester powder coating which means the great colours won't fade. Bistro Chairs work perfectly with this table. The 77cm table seats 2 people for dining, or 4 people for drinks/casual dining. The 77cm table seats 2/4 people. 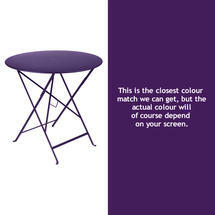 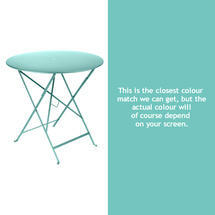 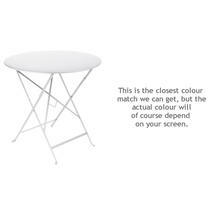 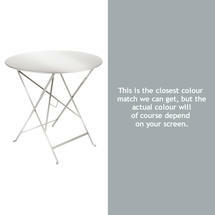 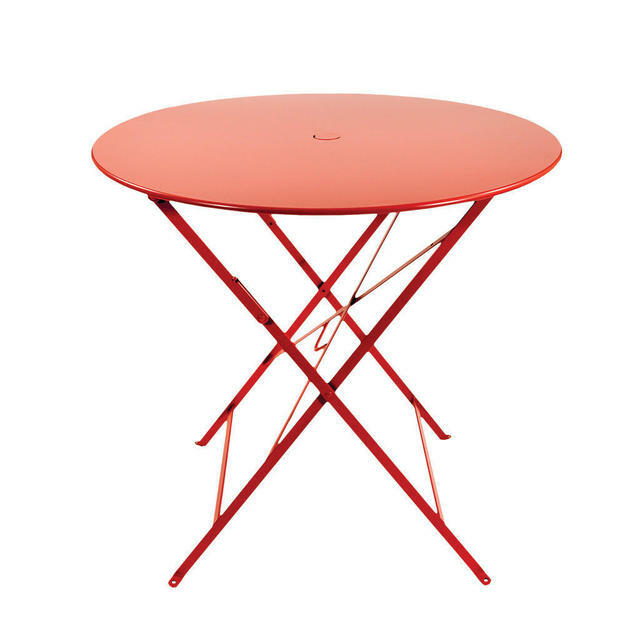 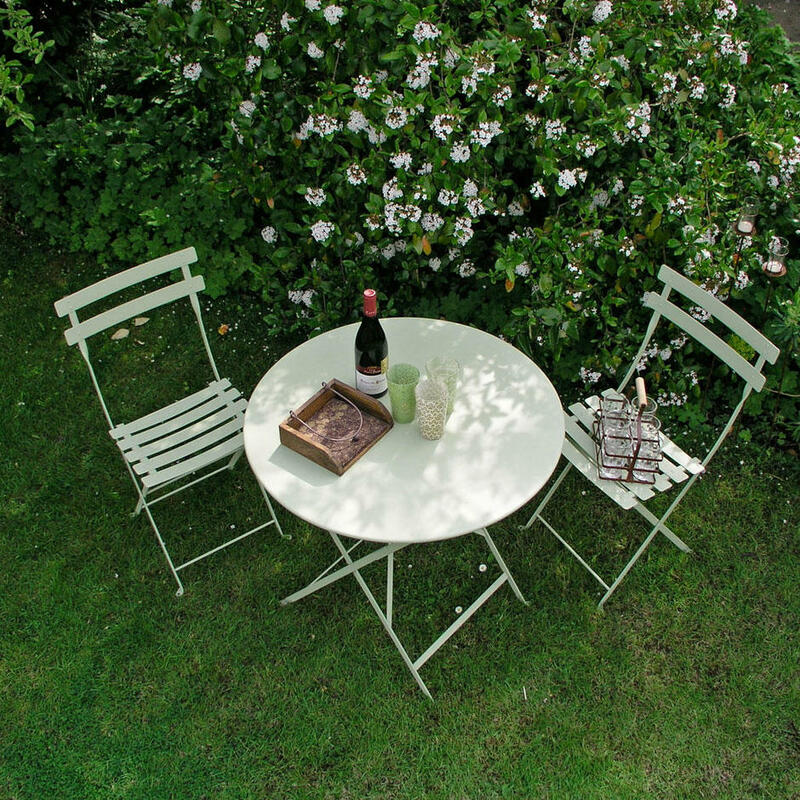 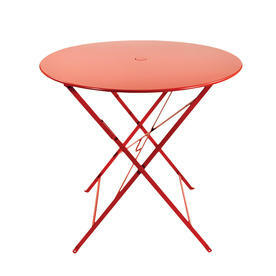 The table has a parasol hole measuring 41mm with a discreet metal stopper in the same colour as the table. 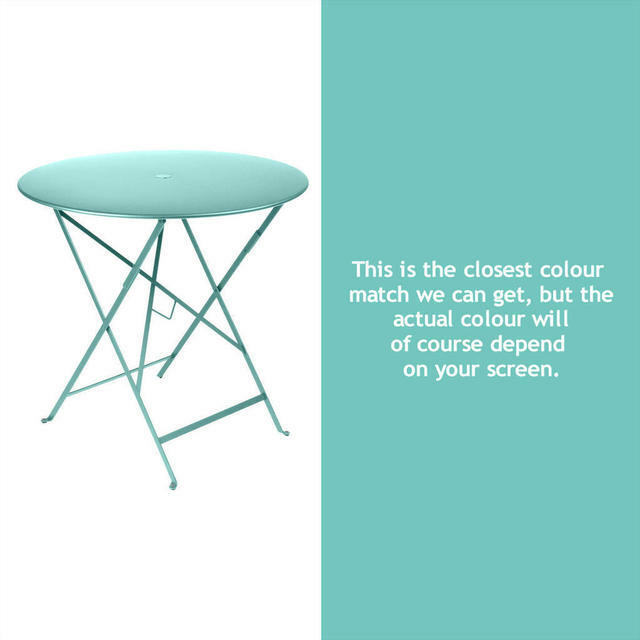 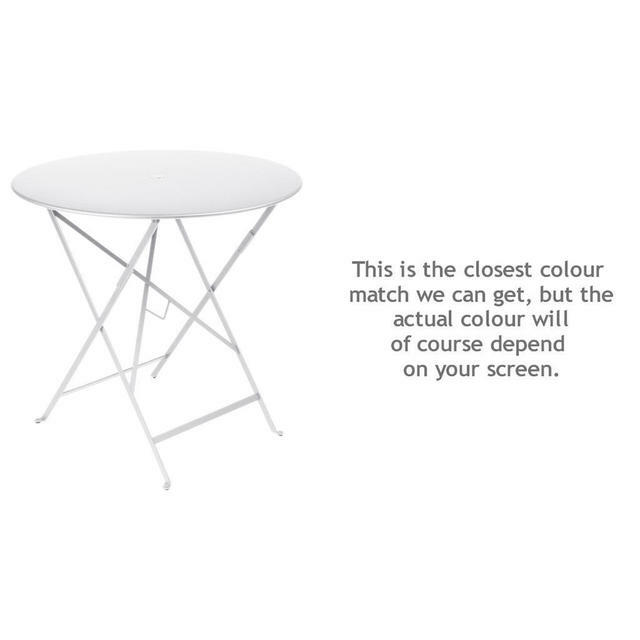 We do keep a wide range of Fermob Bistro furniture in stock but with such a wide colour palette it is difficult to balance this, particularly at peak times.